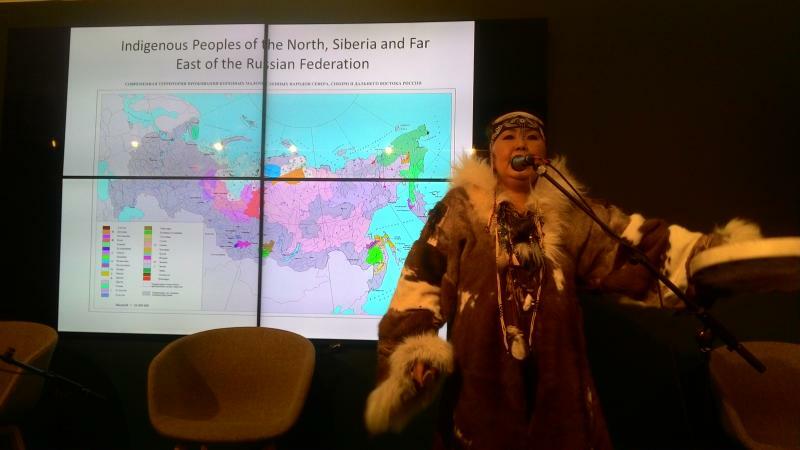 Indigenous small-numbered peoples of the North, Siberia, and the Far East of the Russian Federation include 41 groups with the total number of inhabitants nearing 240 thousand people; they live in 34 regions of Russia. These people are the first to encounter with consequences of climate changes. 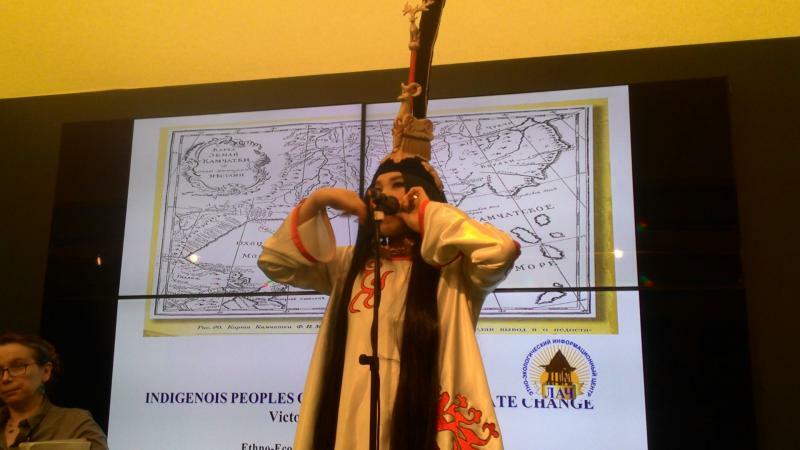 Indigenous peoples and their habitats cannot adapt to the changes taking place far too fast. They lose their traditional living principles, food, and medical supplies produced on the base of local plants. Polina Shulbayeva (the Kogolik Information Center, Tomsk Region) told that Vasyugan Marshlands are the world biggest wetlands; they are included in the Guinness Book of World Records and their area amounts to 13,000 km2; this exceeds the territory of Switzerland. People have lived here for more than 3000 years and the entire life of indigenous peoples depends on the state of the marshes. “Our calendar has shifted for over a month: the marshes do not freeze. Earlier, as of the end of November and till March, we could move around the marshes, while now it is already December, and they still have not got frozen. Wild animals cannot move in the right direction and alter their traditional roots; the hunting season shifts. Some people say that they have to live only on fishing, because the marshes do not freeze and they cannot go hunting,” Polina told. Only in winters these villages could be provided with necessary supplies: medicines, flower, salt, etc., because there is no other transportation way but over the frozen water. In the result of unsound ice, vehicles cannot get through or sink in the marshes with all supplies. While earlier, animals hibernated in November, presently, they cannot; e.g., bears still are not denning and become more and more aggressive because of this: they can get into villages and kill people; however, this is not their fault. They cannot adapt to the phenomena of the kind. Bushes started to replace lichen pastures. Wild deer altered migration roots and indigenous peoples do not know any more where to hunt them. Sometimes, wild deer join domestic herds and march them away. 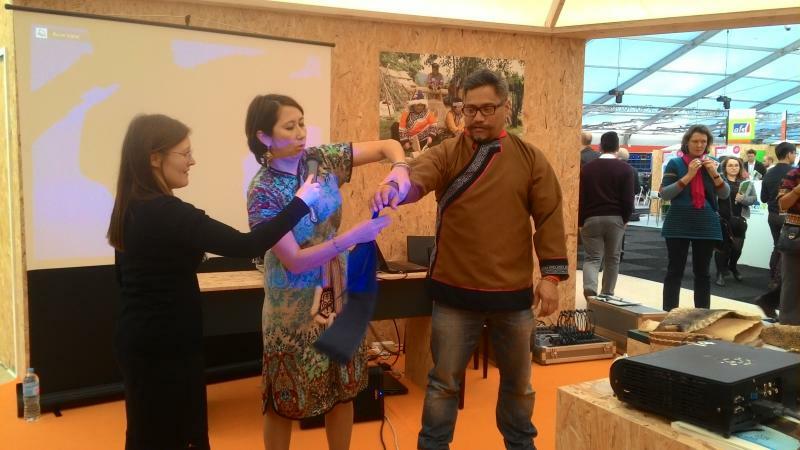 Vyacheslav Shadrin (First Vice President of the Association of Indigenous Small-Numbered Peoples of the North of the Republic of Sakha (Yakutia)) said that people had lived in Andryushkino Village for thousands years. Their settlement is built on deep-frozen soils. Due to the climate change, the permafrost started to thaw and their village is presently submerged and almost entirely destroyed. “In December, people in Yakutia could dig out with a spade up to a 1.5 meter deep pit in the areas of former permafrost! More and more often we find mammoths’ remnants. The ice cover changes and the permafrost conditions change. Destruction of the coastal zone might be as big as six meters per year!” Vyacheslav told. The taiga zone moves forward and new plants and animals appear; the periods of birds migration changes, and the snow cover changes which makes obstacles for indigenous peoples. These changes are critical for indigenous peoples. Traditional knowledge gives an ability to forecast what is going to happen and when. Pipe lines have been accumulating this information for thousands years, but everything has changed now. Earlier, indigenous peoples could forecast weather based on clouds, the moon, the sun, stars, their feelings, and, of course, spiritual prognoses, but this does not work anymore! “One of our patriarchs said that the nature ceased to trust us,” Mr. Shadrin told. If you ask indigenous people how the weather has changed, it is difficult for them to answer, but if you ask them about stability of the weather conditions, they all say that nowadays it is virtually impossible to forecast weather: a blizzard can start, then stop, and then unexpectedly start anew. Nomads experience serious troubles because of this. Recently, a family died because a blizzard had caught them unexpectedly and they got frozen to death. Presently, the threat of cemetery washaways has emerged. People who had been buried long ago could have died because of various diseases, and nobody can predict what viruses can get into the drinking water. This might lead to serious consequences. Up to 80% of water resources are located in the indigenous peoples’ territories, along with huge deposits of diamonds, oil, and gas. Indigenous peoples acknowledged that they are afraid of businesses’ harassments. Already now, 15 mega projects in the sphere of gas and oil development are under implementation in Yakutia. 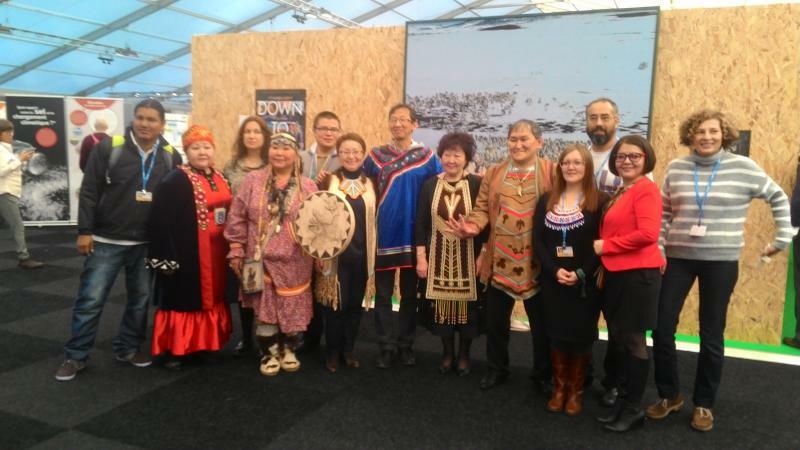 The Russian Social and Ecology Union and many member organizations of RSEU joined the indigenous peoples’ appeal to the delegates of the UN Climatic Conference in Paris. The appeal has been prepared by the Asia Indigenous Peoples Pact and a number of other international public organizations; it lists 10 reasons why major climate should not include projects of major hydro power stations.